It has been widely reported that more than 80 percent of jurors make up their minds about your case during opening statements.1 There is actually no quantitative study confirming this, but the best lawyers and the top litigation and jury consultants agree that a winning opening statement is critical. Probably the most important reason that an opening statement is critical is that it establishes the lens through which your jurors will view the trial.2 If that lens is clear and focused on the issues and the evidence that you know are keys to victory, great. If the lens is cracked, foggy, or unfocused, you’ve got problems. The concept of primacy effect is another reason that opening statements are critically important. Primacy means that information provided to an audience first is the most valuable and meaningful.3 Jurors are encoded with the first information they receive from you. If you give your jurors the first information that they receive, you’re creating the right lens for your case. Steve is smart, diligent, critical, impulsive, and jealous. Steve is jealous, impulsive, critical, diligent, and smart. Those exposed to the first sentence view Steve positively. Those exposed to the second view Steve negatively. But they, of course, contain exactly the same information in different order. This is how the primacy effect works -- and the same thing happens to your case in opening statements. At the very beginning of opening statements, jurors form their working hypothesis for the case, and this hypothesis affects their interpretation of the rest of the information presented at trial. So the information at the beginning of an opening statement matters a lot. Primacy means that if you’re plaintiff’s counsel, you need to set a strong theme for your case and immediately tell the brief story of the wrong that got you to court. If you’re defense counsel, introduce the “dagger” that kills the plaintiff’s case immediately. Jurors only care about assigning blame, so make it easy for them. Finally, confirmation bias plays a critical role because jurors will decide your case based on their views, not your evidence (for the most part). As a general rule, decision makers lack objectivity, and people tend to favor one choice over another and subsequently evaluate information to confirm that leaning.4 Your jurors will believe what they already believe and will remember evidence and arguments that supports those beliefs while ignoring evidence to the contrary. Tune your opening statement with this in mind. 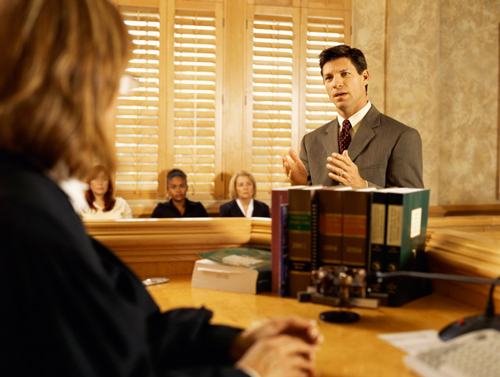 In opening statements, we want to get the jurors’ attention and make them care about the case and the client. This requires that they like you and appreciate what you’re doing. It is natural for everyone to take sides to have someone to root for. Have you ever watched a sporting event in a totally neutral way? Probably not. The same goes for jurors in the courtroom. Remember the “90 Second Rule.” Within 90 seconds of meeting someone new, people decide whether they like the person or not, if they feel comfortable around them, if they trust them. This goes for jurors and you in the courtroom. To make jurors like you, help them do their job. Make it easier for them. You’ll want the case and evidence to take center stage, but you need to make it interesting and easier to understand for jurors who are all new to the case, new to being jurors, new to you, and new to each other. Litigation is confusing; make things simple. Do you remember your first day of law school? Did you feel confident that you understood what your professors were talking about? Probably not. The trial is probably the most confusing and complicated thing your jurors will ever be put through in their lives. They’ll be asked to digest a bit of law it likely took you an entire semester of law school to understand. They’ll be asked to digest a ton of facts that you think are important and then to apply the law to those facts. Then they’ll be asked to decide which party should either get or not get a lot of money or lose their freedom. This is a confusing process, so if you can help make this job easier by distilling facts, simplifying the application of the law, and making the case easier to understand, jurors will appreciate it. In one study, jurors indicated that the prime value they saw in opening statements (and closing arguments) was that they provided a framework for the jurors to evaluate the case.5 This is perhaps the most effective way to influence juror decision making. Litigation is boring, so make your presentation and case interesting. The Apple v. Samsung or Marvin Gaye Estate v. Pharrell Williams cases are few and far between, so your case is probably not inherently interesting. Make it so. There is conflict. There is betrayal. There is stealing and lying and deception and scheming. There is also honor and valor and compassion. Use these as tools to develop an interesting take on your case. Moreover, make the case visually interesting by using litigation graphics to help you make your points. Litigation may be critical to you and your client. But to many jurors, it is an unwelcome interruption of their lives. In the opening statement, try to establish that you’ll get the jurors back to their lives quickly. Almost no juror wants to be in the jury box. They’ve probably each considered what they might say during voir dire to escape and failed. Assure them that your case is simple and that you’ll put it on in an efficient way so as not to waste their time. Make the jurors feel good about you and your case. Make them happy to see you stand up when it’s your turn to talk. Do what the best teacher you ever had did – compare the old and new, the known and unknown, make learning simple, use analogies and metaphors, be tour guides, not lecturers, remove obstacles in the path to learning. If you wear them, what color tie should you wear in court? The most popular publication to cite is Dale W. Broeder, The University of Chicago Jury Project, 38 Neb. L. Rev. 744 (1959); however, nowhere in this article does the author conclude that 80 percent of trials are actually decided in opening statements. It does indicate that trials are likely decided before deliberations most of the time. See, e.g., Bill Kanasky, Jr., The Primacy and Recency Effects: The Secret Weapons of Opening Statements, 3 No. 3 Trial Advoc. Q. 26 (2014). Jonathan M. Lytle, The Domino Effect of Juror Decision-Making, 53 Orange Co. Law. 28 (2011). Ken Broda-Bham, Ph.D., Smile (For Credibility and Affect), http://www.persuasivelitigator.com/2014/04/smile-for-credibility-and-affect.html ( Apr 24, 2014)(citing Brodsky et al., The Witness Credibility Scale: an outcome measure for expert witness research, Behav Sci Law, 2010 Nov-Dec;28(6):892-907; Nagle et al., Gender, smiling, and witness credibility in actual trials, Behav Sci Law, 2014 Mar-Apr;32(2):195-206; and Kleisner et al., Perceived Intelligence Is Associated with Measured Intelligence in Men but Not Women, Plos One (Mar 20, 2014)).